The dance of collaboration between schools and public libraries can be sweet, breath-taking and powerful: Common Core standards. Field trips. Library cards for students. Family Literacy nights. Collaborative collections. Database sharing. The possibilities of the choreography are endless. But like all dances, it takes time, care, practice and effort to create a seemingly effortless dance. Creating robust partnerships between a community’s schools and public library has been in youth services library news recently. The latest issue of Children and Libraries: the Journal of ALSC and the January 2013 issue of School Library Journal both had substantial articles exploring successful partnering. While partnerships between these two major youth serving institutions are not new, the urgency of the efforts has become far greater in the last year driven by shrinking budgets and staff; a stronger emphasis on tax-supported entities sharing resources; and the adoption of Common Core standards in many states. No matter what size library you work in, these partnerships have assumed greater importance. 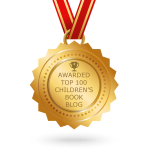 There are many examples of school-public library cooperation being shared in the aforementioned publications, in blogs and at state conferences. 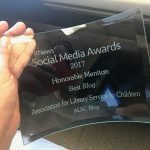 But the ALSC School-Age Programs and Services Committee is looking for even more ideas from you, our ALSC Blog readers, on your success stories in reaching out across to your school and public library colleagues. How have you made initial contact with your colleagues? What types of partnership initiatives have you formed and what are the results? What are five tips for your success? Please share in the comments below. Our committee would love to share your input as we work to develop a list of successful collaborative work between public libraries and schools (perhaps similar to the ALSC Kickstart Program for School Age Kids list). It’s a dance we believe we all can do! I am a children’s librarian in a suburban branch of a public library in an urban library system. For me, the process of contacting the schools and developing relationships was a lot of trial and error. It is a matter of contacting school library media specialists ( if my elementary schools had one). principals, assistant principals, teachers, parent coordinators and parents by paper, phone, email and in person visits. I found some of them would be receptive and others not. Once you find that one person in the school, then things build from there. For example, one school has an Asst. Principal who was a former School Library Media Specialist. I had discovered this from a parent I knew from my library. As you can expect she was very receptive to developing a partnership with me. I started with the kindergarten classes, then it built up to pre-k, 1st grade and 2nd grade. I learned not all schools are receptive or just may want a very basic partnership (send us flyers every once in a while). You cannot force it. It is more difficult to find partnerships in schools who do not have a SLMS. Inviting the kindergarten classes of the closest school to walk over for selected We Explore programs – Welty Environmental Center and a music program so far. Having the entire 5th grade of the same school come to the library as part of their getting ready for middle school events right before summer. Other stuff: The school librarians invited me to join them for their area meeting last year and some of them use our institutional cards a lot. The middle school has been great about disseminating publicity and announced my new Middle School Madness program on the pa, which got me 30 attendees at our first meeting. I do visits and tours, but it depends on my time and what teachers are doing so there’s nothing regular. Our 4K classes are spread throughout the community in daycares/preschools and I run remote collections for the three sites. I also currently have a remote collection going for the Catholic school and I do visits there as requested. I’m a children’s librarian in a public library. I have found that joining AASL and sharing important posts from the list with my school librarians has deepened our relationships. 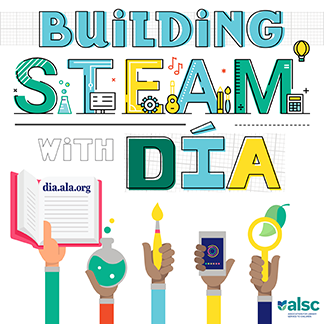 With shrinking budgets and lower wages, not all of them can afford to join because you have to pay both the ALA dues and the AASL division dues. It’s easier for me to pick up the tab since I already belong to ALA and ALSC. I’m hoping that once they discover how valuable and relevant these posts are to their profession, they’ll find the dues worth paying. For instance, when we were petitioning the White House to reauthorize ESEA, last year, I sent it to all my school librarians. They hadn’t heard of it and were grateful for my message. It made me realize just how important it was for them to be in the information flow. In my opinion, collaboration and knowledge-sharing is the key to successful partnerships–I love my school librarians! Some day we’ll have to make an appointment with Senator Patty Murray and make a trip to the capital to talk about advocacy for school librarians. Maybe we’ll even have tea and do a little pas de deux along the way. I’m optimistic that it’ll be fun. Hello, I came via the YALSA blog in hopes of finding tips on these partnerships. I serve 6 of our middle and high schools. It’s challenging to get in because the middle schools do not have librarians at all. I’ve made contact with the teacher leader at the closest middle school and have been hosting all day book talks for their students. I’m playing around with format to make it more interesting and interactive as well as working with the teachers to try to get the kids to book talk to me. They are spreading my reputation to other area schools so I may have more outreach opportunities in the future. It is definitely a work of patience and persistence. The Deschutes Public Library in Deschutes County, Oregon, has 6 libraries in 5 communities, with 3 school districts in the county and 40 schools. About 8 years ago the Library Board heard from citizens the need to support school libraries, who were in serious trouble with small budgets and limited staff time. Our solution was the creation of Library Linx. Library Linx is a partnership between Deschutes County schools and Deschutes Public Library (DPL). It provides for students and faculty to place holds on DPL materials from any internet computer, and to have the materials brought to the school, where they are checked out by the media manager in the school’s media center. –	3 school districts agreed to courier library resources from one location designated by each school district. –	Principals and media managers agreed to confidentiality and the Freedom to Read statement. –	Media managers agreed to attend training, support a library card campaign, and to promote Library Linx. –	Public library staff agreed to the additional steps necessary to identify books for school delivery. –	Public library staff agreed to work on all the behind-the-scenes details needed to integrate with our circulation system and procedures. –	Public librarians agreed to become liaisons for the schools, promoting Library Linx at teacher meetings, Back to School nights, and in classrooms. –	Public librarians agreed to assist teachers with selecting materials for curriculum requests. Over the years Library Linx has changed a great deal as we are always looking for ways to streamline and improve. We have increased the number of schools from the pilot project of 3 to the current 25 schools. Due to the fact that we have more schools anxious to become Linx schools we have recently decided to require a per capita level of circulation so that we can remove schools at which Linx does not flourish in order to add schools which will use it as robustly as possible. At the beginning, during the days of adequate funding, the library paid for everything, from computers to promotional materials. When we could no longer financially support the increasing demand, we applied for and received an LSTA grant for the majority of the funding, which included print materials, banners and bookmarks to promote Library Linx, and purchasing the online software used for check out at the schools. Please contact me if you want further information. I can send you related documents, such as the application to become a Linx school, the list of responsibilities for schools and public library, and the measurements we keep. I would love whatever information you are willing to share! I come from a different angle…I am a parent in her 1st semester of master’s study in LIS. My children’s school library has been vacated and the children go to the public library 1 block away for their books. There is no formal relationship/programming or anything to speak of. I really want to create a partnership. There are other schools in our district that could benefit from whatever partnership we create. I would love any resources/ideas/encouragement you can offer! Thanks for your ideas! Michelle, I totally agree: some schools are receptive and some are not, and you just have to accomplish what you can. There is one school that has been a real tough nut to crack for me, but I recently had some success. While all the teachers and office staff and principal are very nice and receptive, I had not been able to get in the door, or even get email addresses for any teachers. So recently, after a huge weeding project, I sent an email to all the principals, teachers, social workers, parents, etc. in my area telling them that if they simply responded to my email, I would give them FIVE FREE BOOKS for their classroom! (These were books weeded from the collection, but still quality stuff.) I got so many responses, many of them because the principal had simply forwarded my email. So I got to visit 5 new classes and get in touch with about 15 new educators. I’d say look for “out-reachable moments.” I’ve had the good fortune of the Issaquah High School Honor Society calling me out of the blue because they needed a place to hold their Dr. Seuss party. Their high school was being remodeled. So I offered a collaboration that we would do the program together. The students dressed up as characters, baked hundreds of cookies, did face painting and read to children in the library. It’s win-win. The teens get their community service volunteer points and I get a fantastic multi-generational Dr. Seuss program. It went on to open more doors. Last year, they helped me do the Hunger Games Party. I used to work for our public schools as the aide in the Pre-School room for almost 10 years prior to working full time at the public library in our small rural town. Since 2002 I asked the Kindergarten teachers if I could come read to their class every Friday. I found 1 teacher who would coordinate the schedule and it has evolved for me reading every Friday to 4 classes one week, the other 4 the next (our elementary building has Preschool-2nd grade all in one building). It is a great outreach program. I am now asked to participate in Family Literacy Night, Title One Parent Night, visit Headstart and PreSchool classes. The library partnered to coordinate a Family Playgroup when funding disappeared, using school facilities. Since we are in a small rural town and close to most of the buildings, classes walk here for class visits. It may be an asset to work and live in a small town where almost everyone knows everyone. I love it!